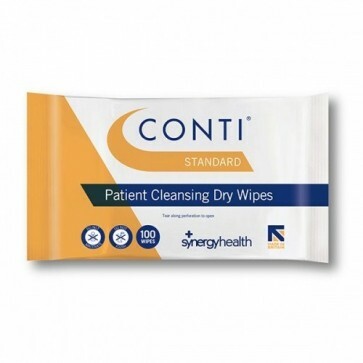 The Conti Standard Skin Cleansing Wipe is a dry, cost-effective wipe. This strong and high performing wipe is ideal for cleansing the skin, whilst being made from a lightweight material, resulting in a pleasant and soft feel. The Conti Standard Dry Wipe is suitable for all over body use, particularly suited to soiled areas and continence care. The wipes are available in sizes normal, small and large.